Africason | African School | Africa son | History | Black Consciousness | Education: The West Killed Patrice Lumumba (Congo's first Prime Minister). The West Killed Patrice Lumumba (Congo's first Prime Minister). British spies admitted helping to organise the detention and execution of the first prime minister of the Democratic Republic of Congo in the 1960s, a peer has claimed. Congo’s first democratically elected prime minister was abducted and killed in a cold war operation run by British intelligence, according to remarks said to have been made by the woman who was leading the MI6 station in the central African country at the time. A Labour peer has claimed that Baroness Park of Monmouth admitted to him a few months before she died in March 2010 that she arranged Patrice Lumumba’s killing in 1961 because of fears he would ally the newly democratic country with the Soviet Union. In a letter to the London Review of Books, Lord Lea said the admission was made while he was having a cup of tea with Daphne Park, who had been consul and first secretary from 1959 to 1961 in Leopoldville, as the capital of Belgian Congo was known before it was later renamed as Kinshasa following independence. Park, who was known by some as the “Queen of Spies” after four decades as one of Britain’s top female intelligence agents, is believed to have been sent by MI6 to the Belgian Congo in 1959 under an official diplomatic guise as the Belgians were on the point of being ousted from the country. “We went on to discuss her contention that Lumumba would have handed over the whole lot to the Russians: the high-value Katangese uranium deposits as well as the diamonds and other important minerals largely located in the secessionist eastern state of Katanga,” added Lea, who wrote his letter in response to a review of a book by Calder Walton about British intelligence activities during the twilight of the British empire. Mystery has continued to surround the death of Lumumba, who was shot on 17 January 1961, although Belgian troops were known to have been involved. Park met Lumumba, the African leader who was to become the short-lived prime minister of an independent Congo. After his successor took power, she was arrested and beaten by his supporters. She was able to get herself released and sought local UN intervention, securing the release of Britons and other foreigners, for which she was appointed OBE in 1960. Baroness (Daphne) Park of Monmouth, who was the senior MI6 officer in the African country at the time, said she had “organised it”, according to the Labour peer Lord Lea. 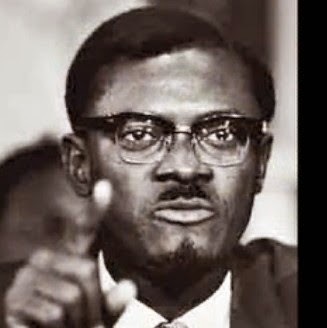 Independence leader Patrice Lumumba was arrested, tortured and executed just months after becoming the first democratically elected prime minister of the DRC in 1960. Although rebel forces carried out the killing, it has long been claimed that foreign intelligence agencies played a part. Belgium, from which Lumumba won independence, apologised in 2002 for having some responsibility by failing to prevent his death, while in 2006 documents showed the CIA had plotted to assassinate him but the plot was abandoned. However, Lord Lea of Crondall, claims he was told by Baroness Park herself that MI6 had also played a role. He made the revelation in response to a review of a book by Calder Walton in to British intelligence in the London Review of Books. Lord Lea wrote: “Referring to the controversy surrounding the death of Patrice Lumumba in1960, Bernard Porter quotes Calder Walton’s conclusion: ‘The question remains whether British plots to assassinate Lumumba ever amounted to anything. At present, we do not know’ . “Actually, in this particular case, I can report that we do. It so happens that I was having a cup of tea with Daphne Park – we were colleagues from opposite sides of the Lords – a few months before she died in March 2010. “She had been consul and first secretary in Leopoldville, now Kinshasa, from 1959 to 1961, which in practice (this was subsequently acknowledged) meant head of MI6 there. Lord Lea went on to claim Baroness Park had indicated that the reason was because of concerns that Lumumba may be a communist siding with Soviet Russia. Africason is a Musician/independent recording artiste and a die-hard believer in Africa. Why Foreign Aid Is Hurting Africa. Last Message From Patrice Lumumba. Why The West Killed Patrice Lumumba. Last Message From Muammar Gaddafi. Kwame Nkrumah- The Father of Africa. No Nation Will Industrialize Without Science. 2013 AfricaSON. All rights reserved. Awesome Inc. theme. Powered by Blogger.